Everyone knows Meghan Markle will be officially joining the royal family on May 19, her wedding day. If it's anything like Kate Middleton's ceremony, Markle may wear a tiara for the affair—but it won't be the first time she's worn one. An old photo now floating around the internet features Markle in a tiara as homecoming queen, and we're downright obsessed with the adorable image. 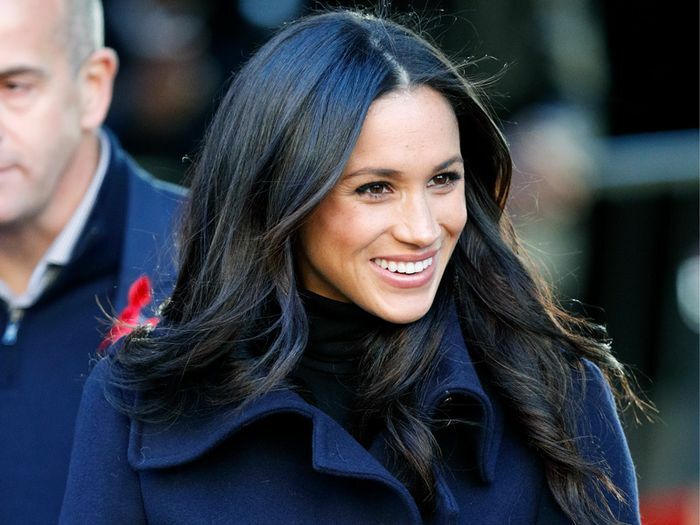 A fresh-faced Markle wore a pale purple strapless dress and a simple necklace for the occasion, but of course we immediately zeroed in on her head piece. Consider this a preview of what we might see on the big day—although, we imagine the royal family's jewels will be slightly more valuable than a high schooler's.